Guaranteeing optimum battery condition to ensure peak device performance is now easier and smarter than ever. The new Toughbook Smart Battery warranty combines the power of smart battery technology with rapid battery replacement. 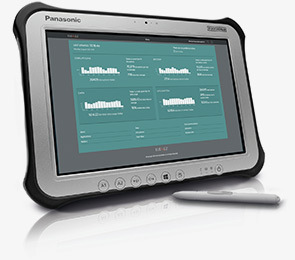 Only Panasonic incorporates smart capabilities in its device management offer. 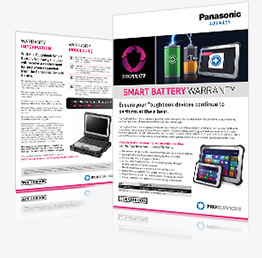 Our Smart Battery Warranty is an intelligent and cost-effective way of making sure your Toughbook devices always run at peak performance, day-in, day-out. Toughbook Smart Service Lite software monitors the battery health of the Toughbook estate. Smart Service Lite identifies when batteries deployed in the field are getting low – we’ll replace any that drop below 50% in normal use. Automatic email notification is sent when battery health deteriorates. Customer contacts Panasonic to request replacement battery to be sent to pre-agreed address. Maintain workforce performance, productivity levels and satisfaction levels. 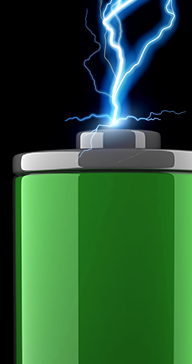 Reduce costs associated with battery failure and replacement. Reduce downtime with rapid replacement battery despatch. Fresh, new batteries are always ready when needed. 3 years’ protection against battery degradation. Toughbook Smart Battery Warranty – maintaining device performance and maximising up-time, with the minimum of fuss. Toughbook Smart Service gives you a real-time analytics tool that captures, analyses, stores and reports on the health and behaviour of your mobile device estate. We will provide you with a login to view the comprehensive Smart Service dashboard, active for 60 days from activation of Smart Battery Warranty. The Toughbook Smart Battery Warranty includes Smart Service Lite battery life analytics, download to find out more. This warranty can only be purchased at point of sale and will be activated in line with the standard device warranty. 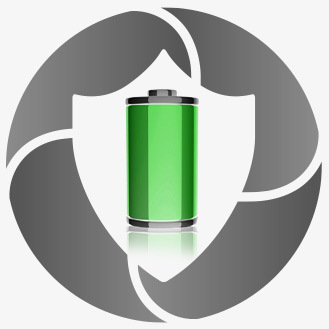 This warranty can only be applied to devices with Smart Battery-enabled products. Smart Service Lite must be installed to take full advantage of the Smart Battery Warranty benefits.